Still in his early twenties, Katlego has achieved more than most could dream of. This qualified accountant is already a consummate MC, TV presenter and singer with one of SA’s top acapella groups. 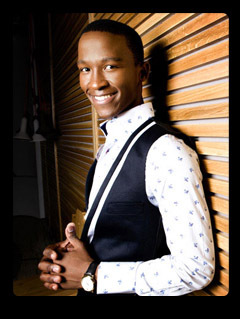 He is a new star on SA’s media landscape and is sure to impress on his biggest role to date. There’s no doubt that he’ll bring depth and genuine interest to his interviews while his charisma, intelligence and wit will be a pleasure to wake up to.